For my own part, I sincerely esteem it a system which without the finger of God could never have been suggested and agreed upon by such a diversity of interests. So as we celebrate the Constitution and acknowledge God for His goodness in helping America become the longest on-going constitutional republic in the world, take time to: 1) read the Constitution and 2) learn more about this document and the people who were involved in its creation. Take this quiz and test your knowledge! 1. What state was the first to ratify the Constitution? 2. What are the five rights guaranteed in the First Amendment of the Constitution? 3. When was the Constitution ratified by the ninth state, meaning that it officially became the governing document of the US? 4. How many delegates signed the Constitution? 5. Six Founding Fathers signed both the Declaration of Independence and the Constitution. Can you name them? 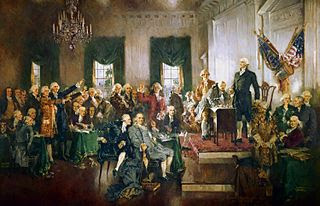 6. Who was the oldest delegate at the Constitutional Convention? Who was the youngest? 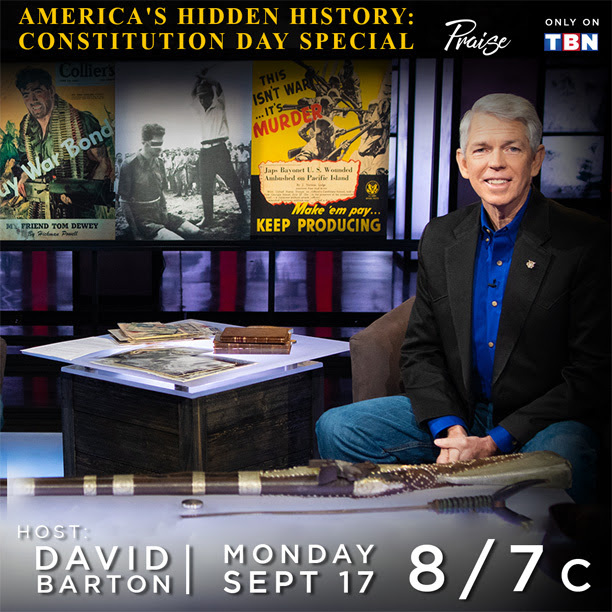 Don't Miss David Barton Tonight in a Constitution Day Special TV Episode! How did you do? Check your answers below! 1. Delaware. With a vote of 30-0, Delaware was the first to ratify the Constitution in December 1787. 2. The First Amendment prohibits Congress from making laws restricting religion, speech, the press, assembly, and the right of petition. 3. On June 21, 1788 New Hampshire became the ninth state to ratify the Constitution. 4. 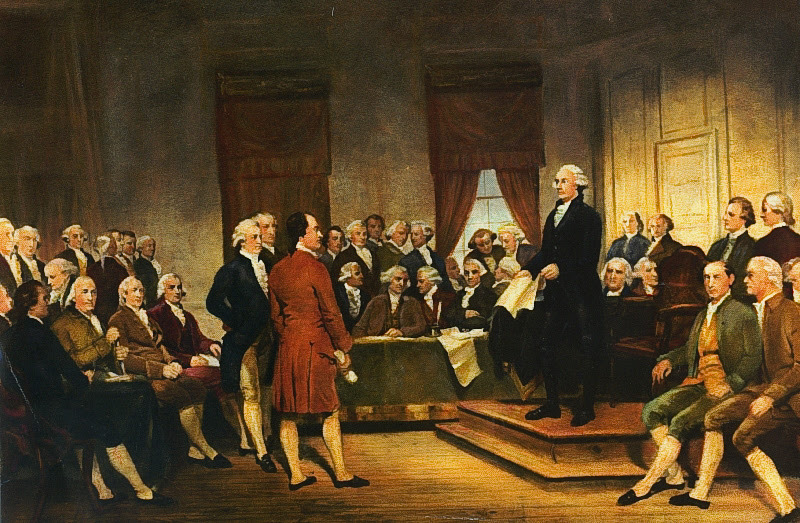 39 of the 55 delegates to the Constitutional Convention actually signed the Constitution. 5. George Clymer, Benjamin Franklin, Robert Morris, George Read, Roger Sherman, and James Wilson signed both the Declaration and the Constitution. 6. Benjamin Franklin was the oldest delegate to the Constitution Convention at 81 years old. Jonathan Dayton was the youngest at 26.